"It's been awesome for him to know I exist." Max Kessler, a 23-year-old accountant living in New York City, has been told his whole life that he looks exactly like Adam Sandler. He told BuzzFeed News that people tell him he even acts like the Billy Madison and Happy Gilmore actor. He's been a lifelong fan of the actor. So it was no surprise that a friend shared the movie trailer for Sandler's upcoming Netflix movie, The Do-Over, on Kessler's Facebook page. But he was shocked to hear his own name as the trailer introduces Sandler's character, Max Kessler. "I thought this is weird," said Kessler. "Someone is probably dubbing the script." But nope. Max Kessler is Sandler's character in the movie and the name of the actor's real-life doppelganger. The REAL Max Kessler was totally stunned by the wild coincidence. 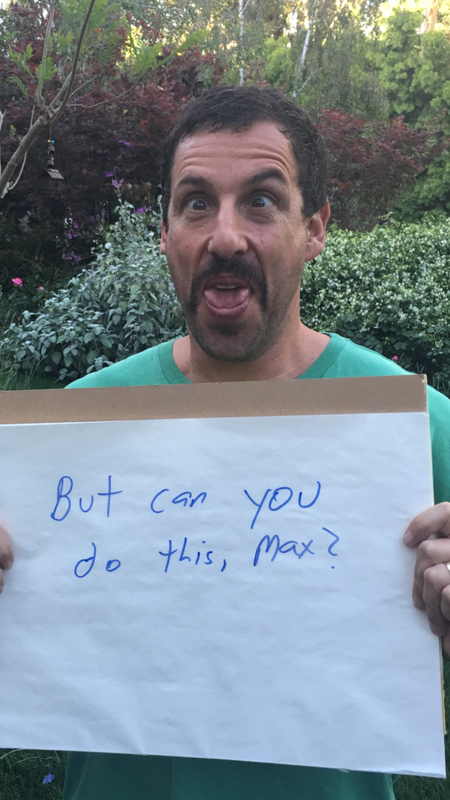 He posted a photo of himself side-by-side with Sandler on Reddit. "The name of Adam Sandler's character in his new movie, The Do-Over, is Max Kessler," he writes. "My name is Max Kessler. Oh yeah, and I look just like him." It was a pretty crazy discovery. The post racked up about 8 million views, said Kessler. But things didn't end there. Sandler, who apparently has a Reddit account, responded to the post. "OK," wrote Sandler. 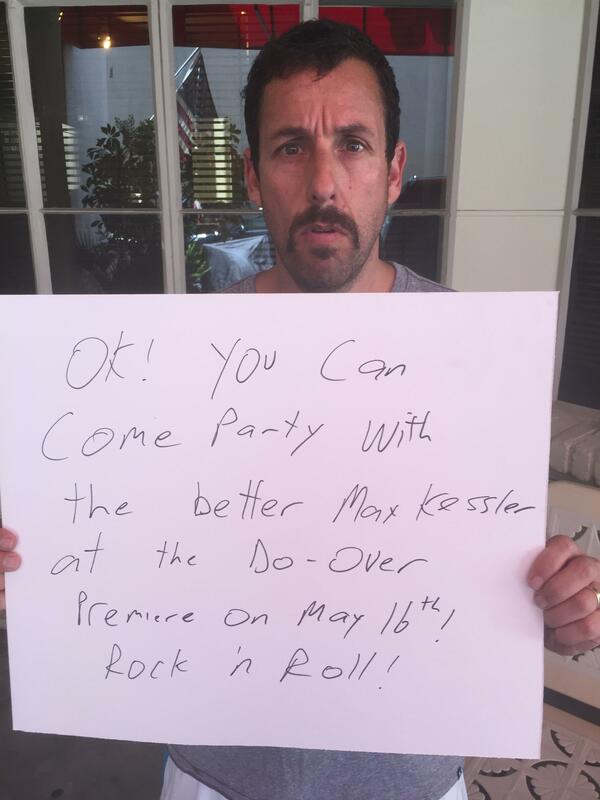 "You can come party with the better Max Kessler at The Do-Over premiere on May 16th." Sandler was apparently really serious about the invitation. His PR people reached out to Kessler and flew him out to Monday's Los Angeles premiere of The Do-Over at Regal Cinemas, where the pair met. "It's a younger, sweeter, better version of me," Sandler said during their first meeting captured by ET. "He's a good kid," said Sandler. "He's funny as hell and I was happy to meet him." Kessler got to hang out with Sandler at the afterparty and was invited back to Happy Madison studios to visit the actor on Tuesday. Kessler said Sandler is a "cool guy" and thought the movie was "awesome and very funny." "It was really unbelievable," he said. "It was a really cool experience." It meant the world to finally meet Sandler, he added. "I definitely hope to stay in touch with him and hope to be alongside him in a movie in the future," he said. "If that doesn't happen, this has just been an incredible experience." It's unclear when the two will hang out again. But Kessler said Sandler challenged him to a basketball game the next time he visits New York.